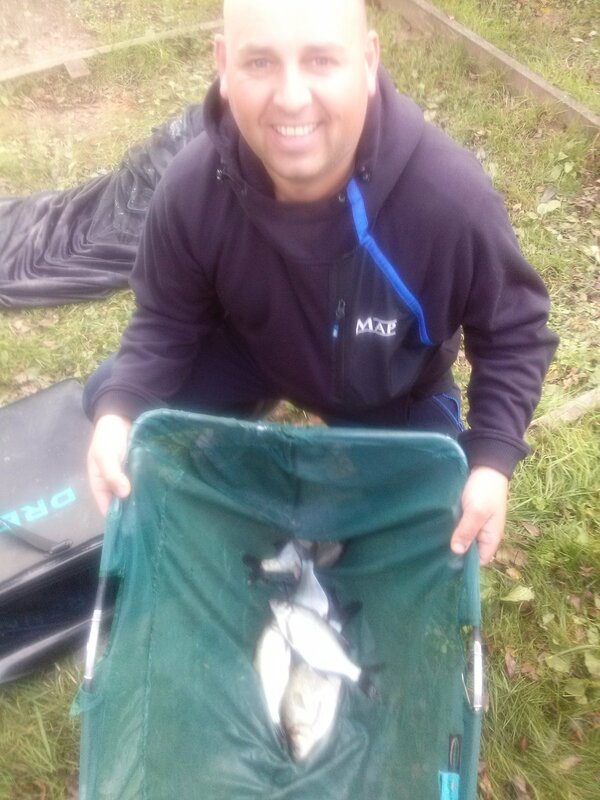 8th Pete Slade 22lb 2oz . 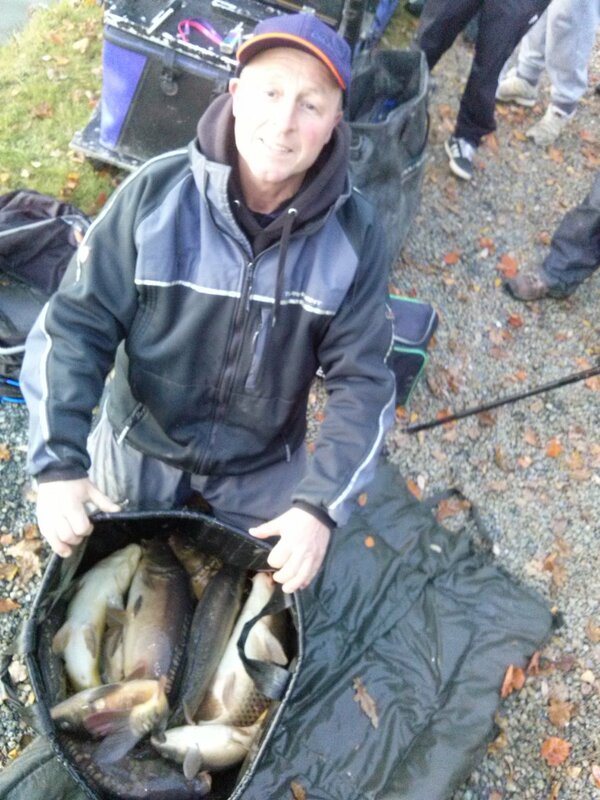 23 anglers fished . 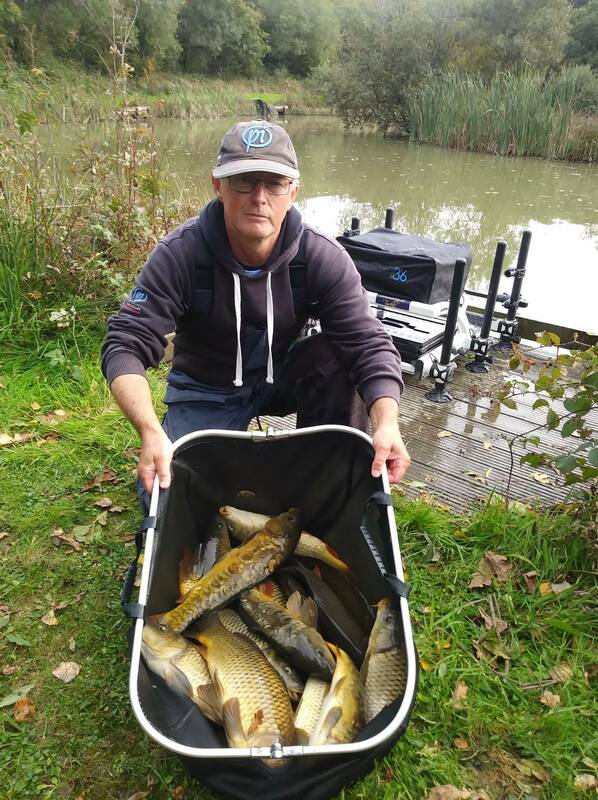 James Grogan drew peg 10 on lake 3 , he has fished around the margin reed beds on the pole, for around 20 carp and a convincing victory. 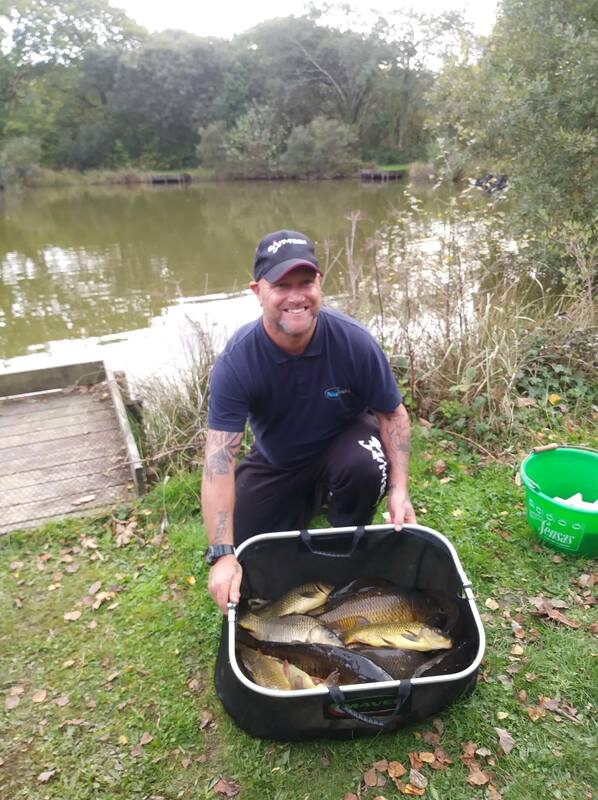 Shaun Stenton landed around 25 smaller fish on corner peg 6 on the top pool ,his second place fell to corn and paste on the pole. 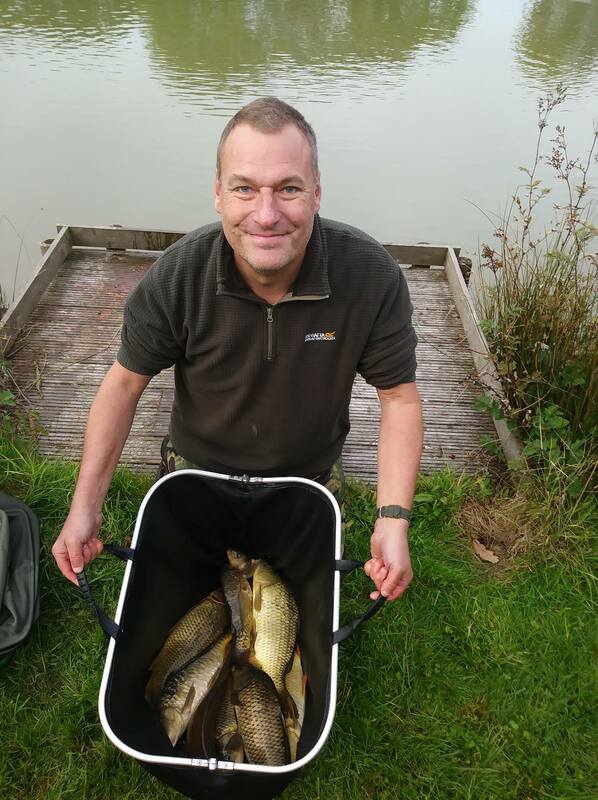 Maggot on the feeder tactics helped, consistent performer, Paul Elworthy into third place also on the top pool. 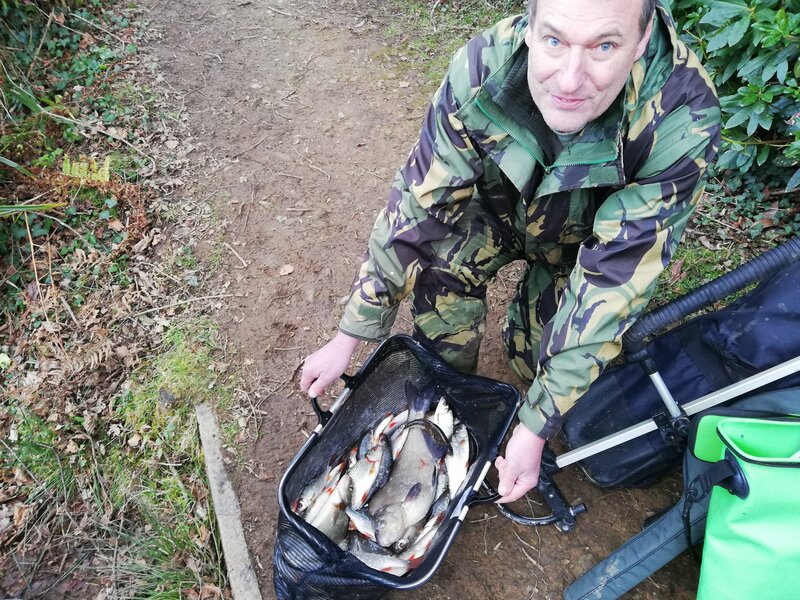 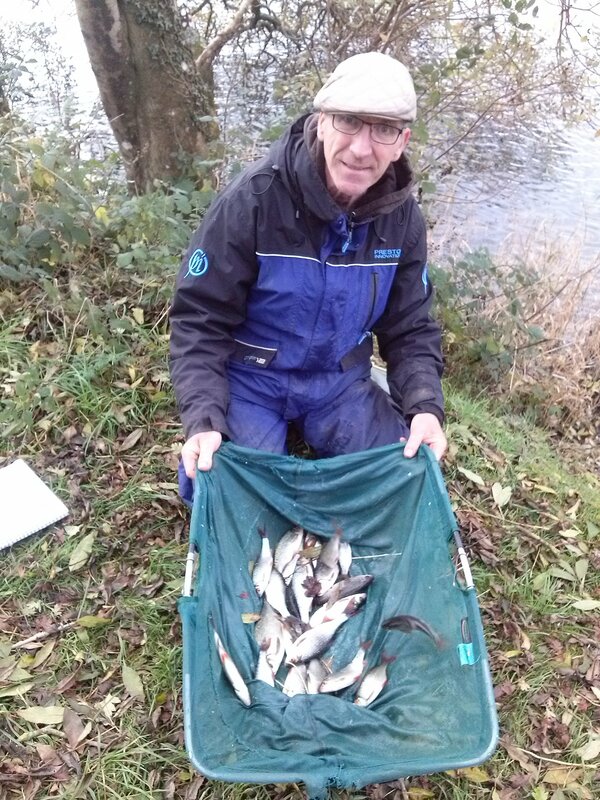 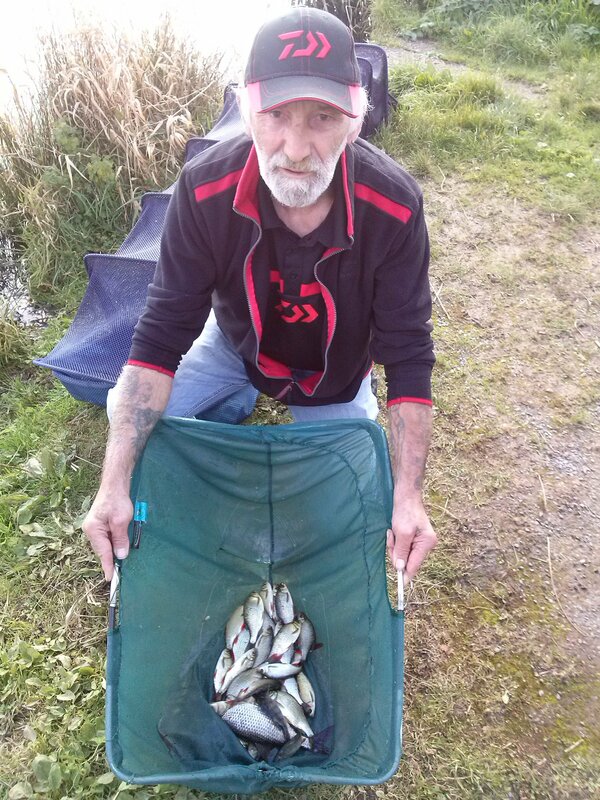 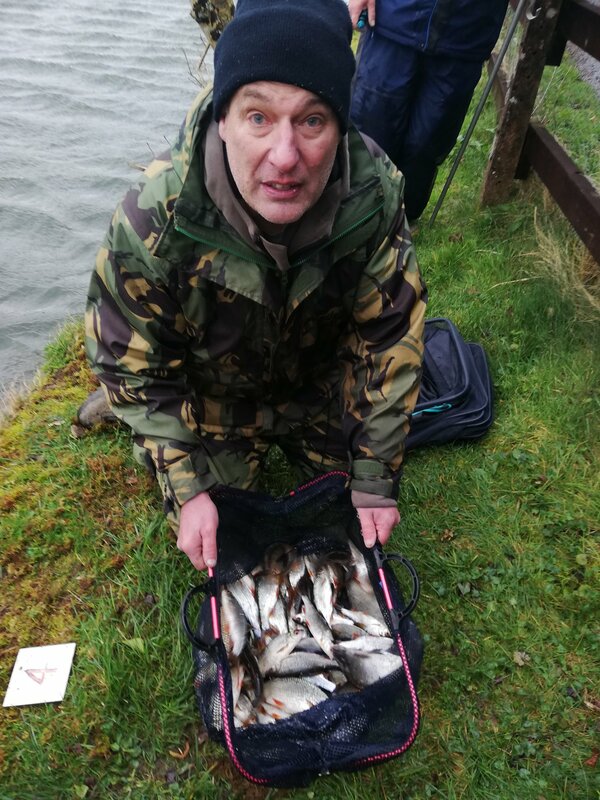 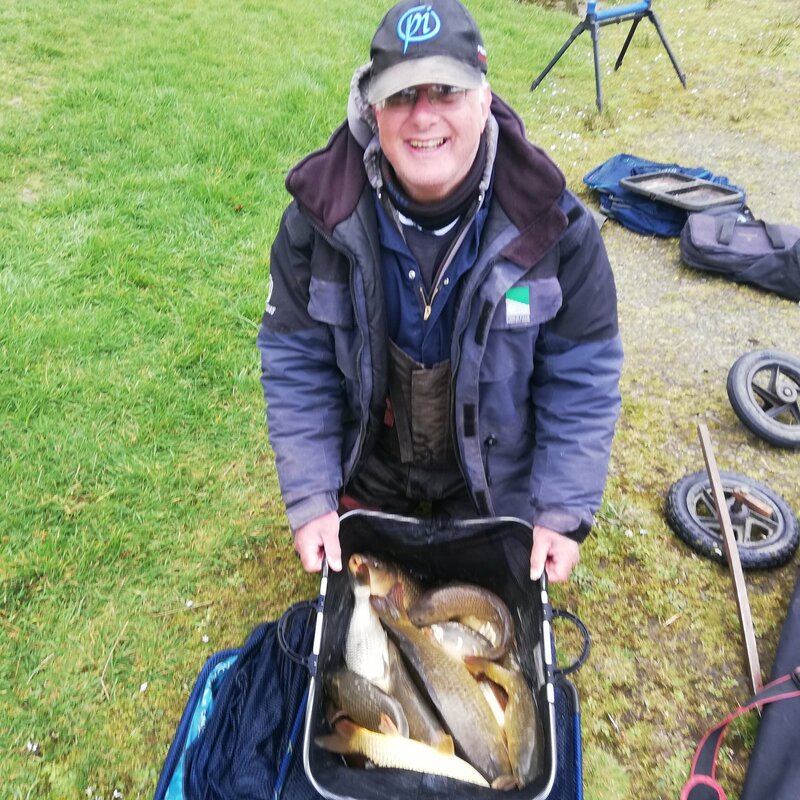 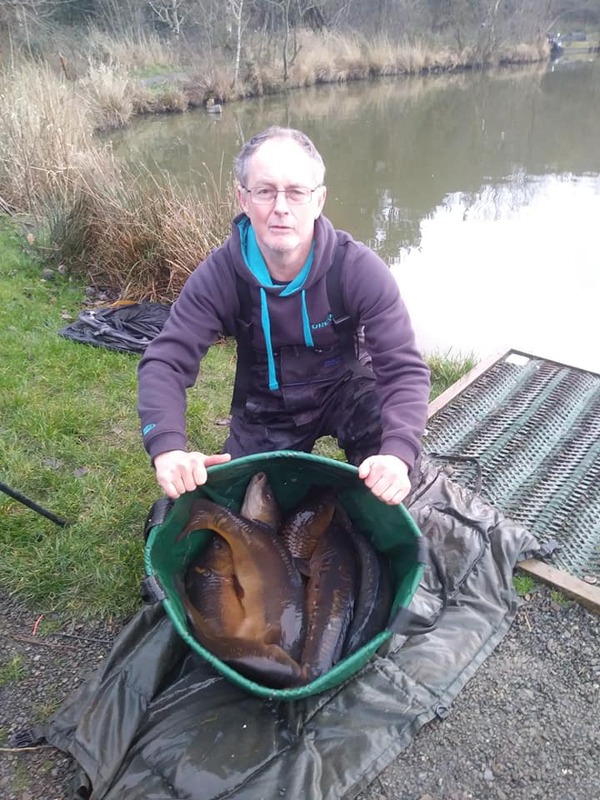 Match organiser John fished with paste in the reed beds on lake 3 for 4th , top weight on the bottom pool and 5th overall was Neilsen Jeffery a pole and corn bag. 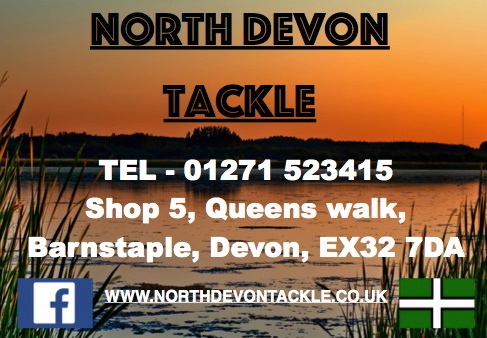 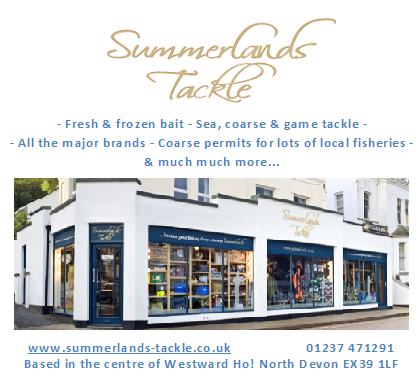 Many thanks to Martin Turner for his regular reports on the adventures of the North Devon Match Group. 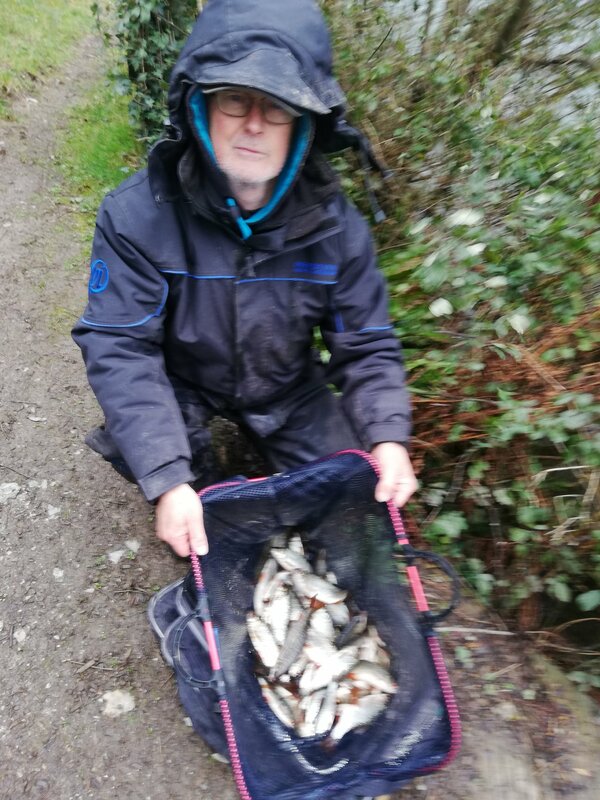 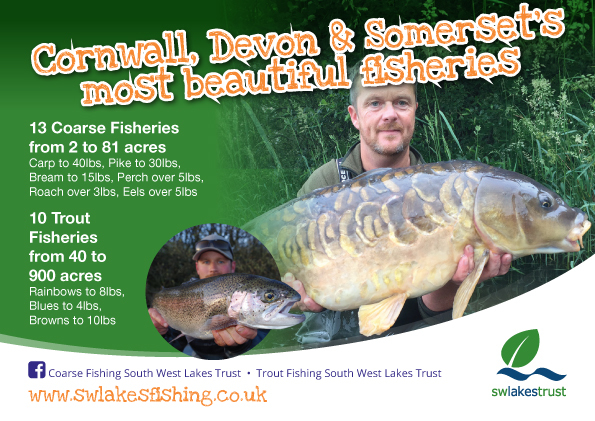 The miild ,damp conditions locked perfect on the SWLakes Trust Reservoir in Bideford, but the shoals of roach and bream proved quite tricky to catch. 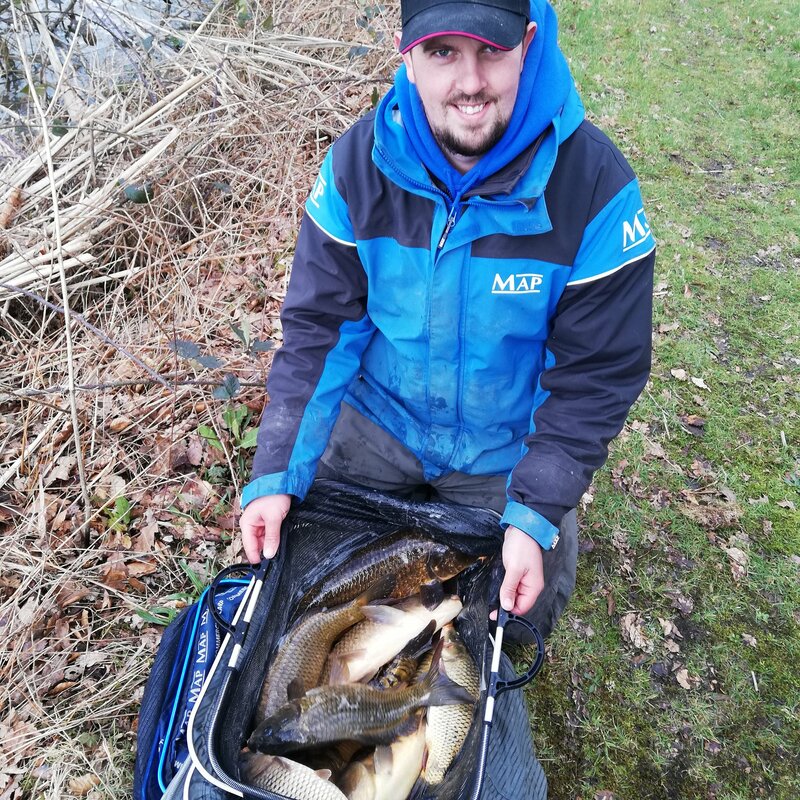 The walk around the far side was worthwhile as the top 4 weights came off the higher numbered pegs.Neilsen Jeffery managed to sort them out on peg 10 on the point . 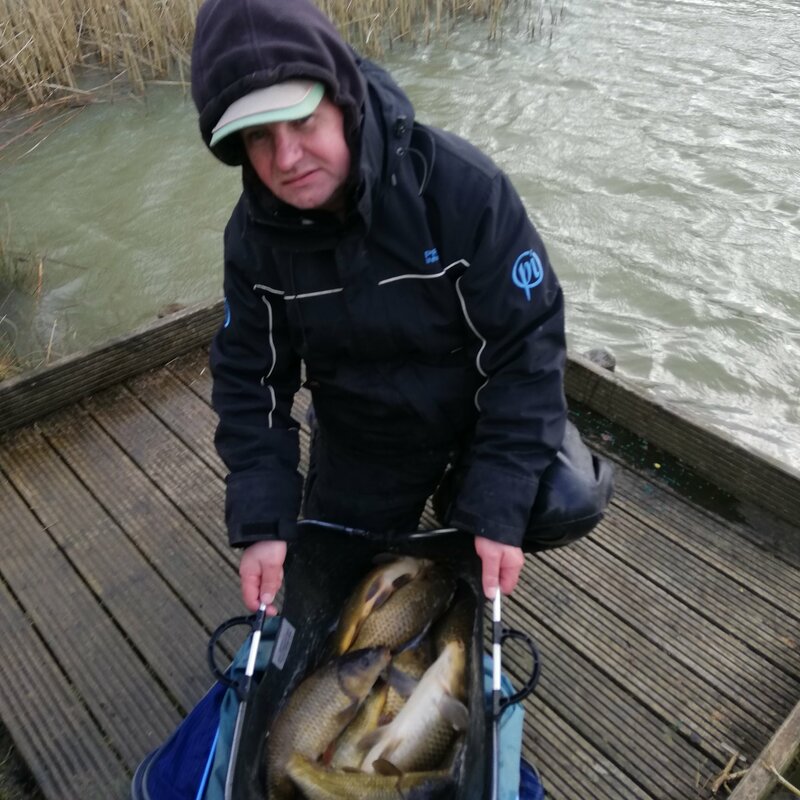 He landed some nice bream on the groundbait feeder on red maggots, Mark Richards drew the end peg on the far side and had a great net, of mainly roach, on the pole on white maggot for 2nd . 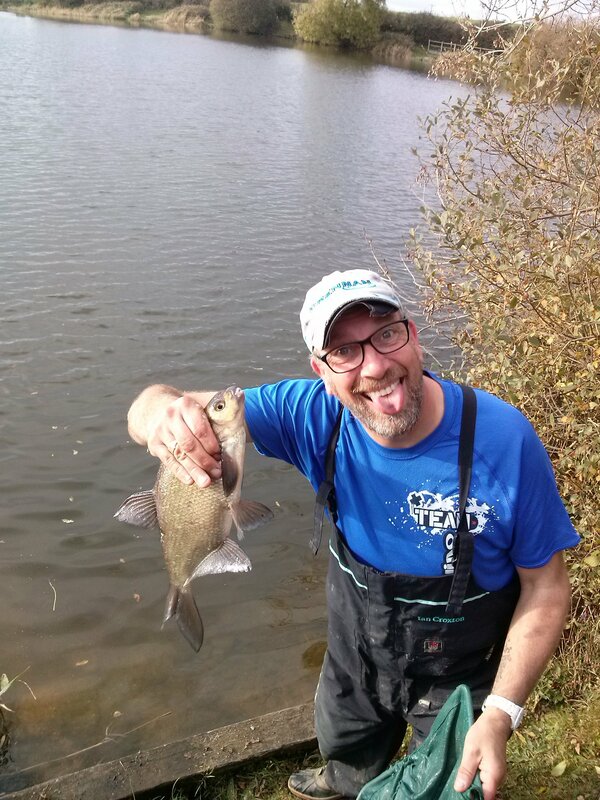 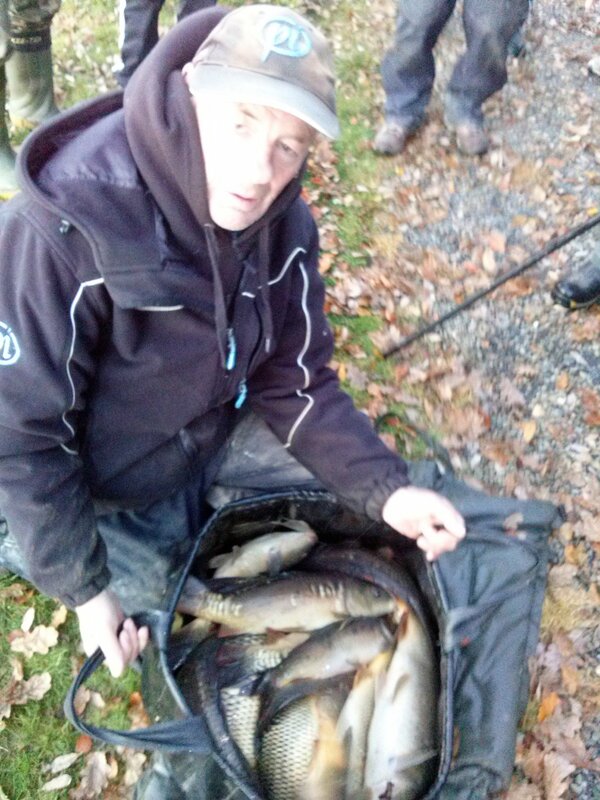 Kevin Shears was best of the rest with another feeder catch. 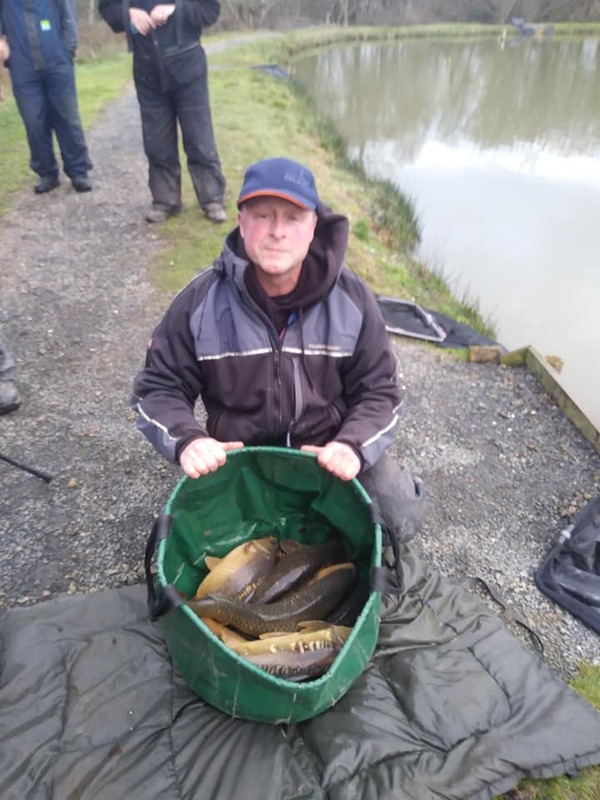 The section A, near bank, winner was Peter Slade with a nice net of small roach, section B winner was Graham Currington with a feeder and slider net on peg 9. 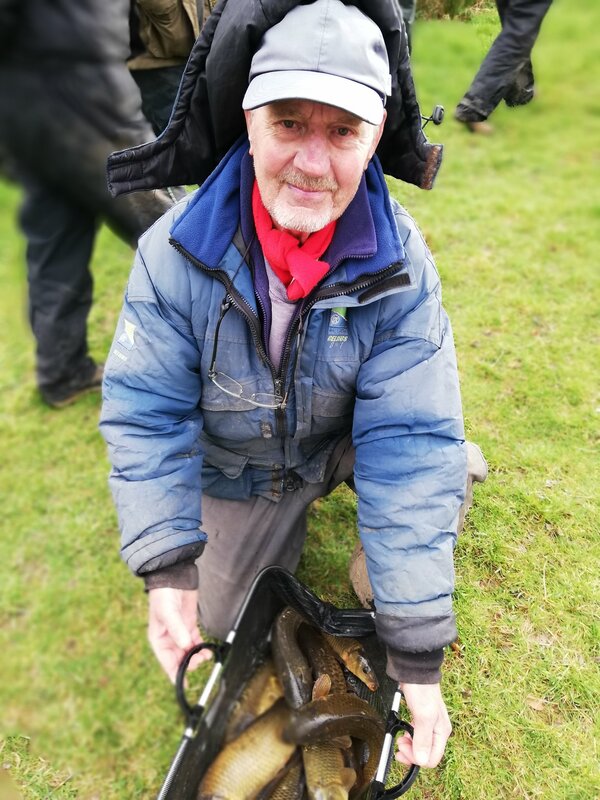 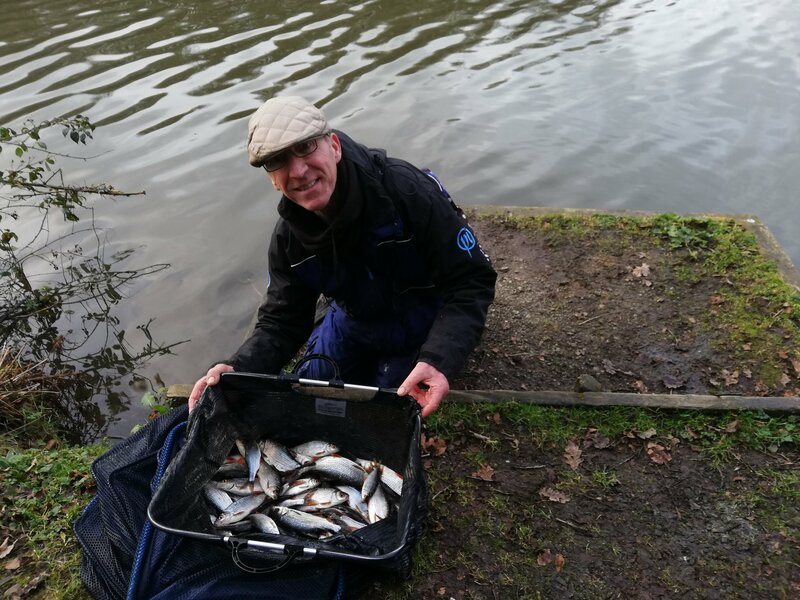 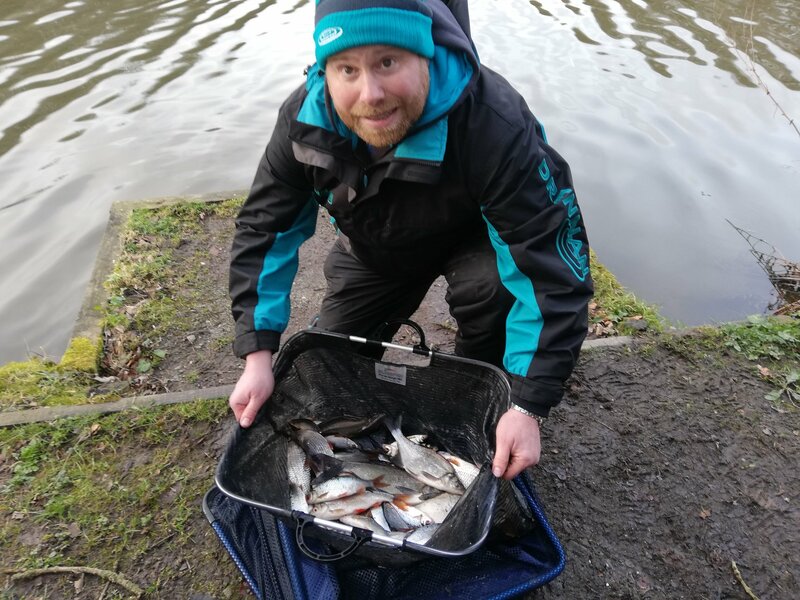 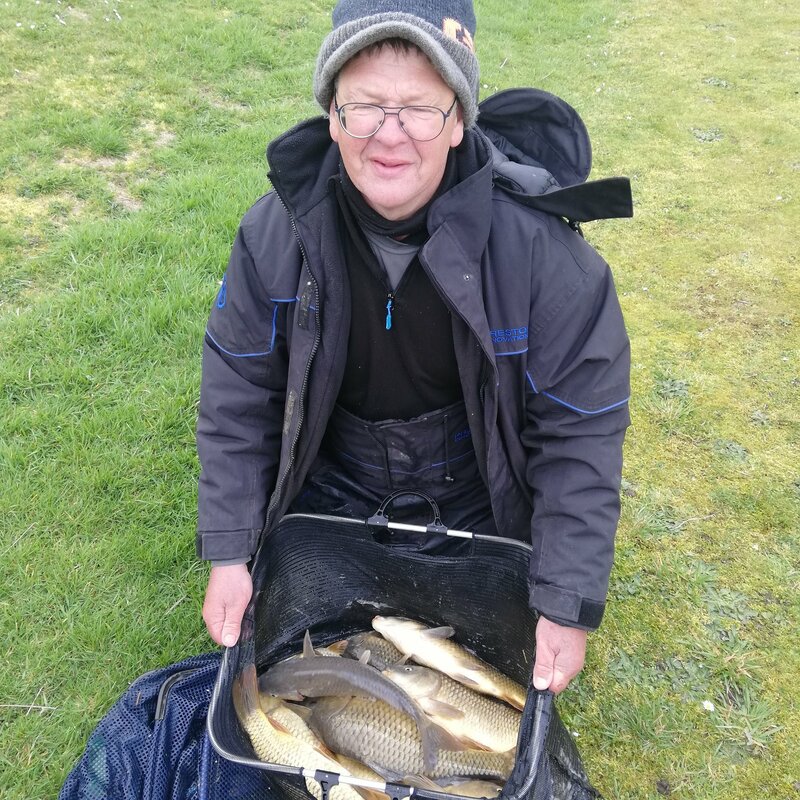 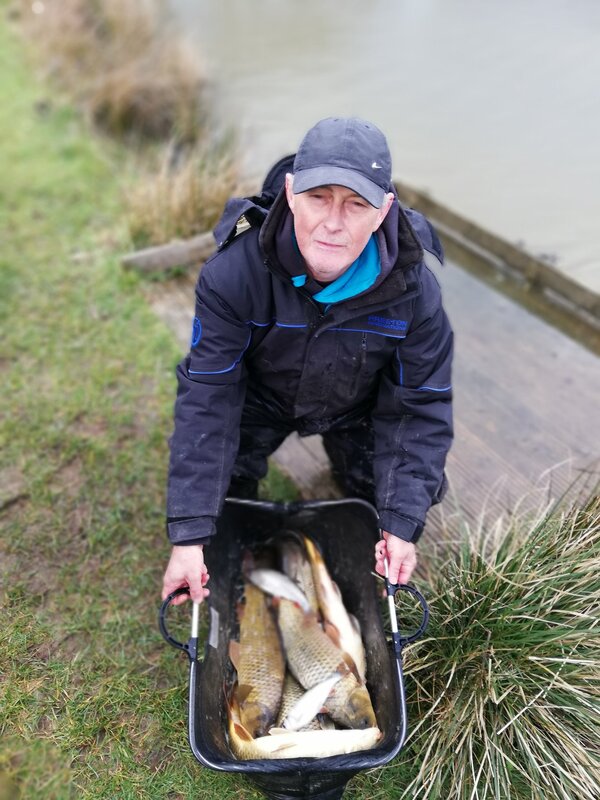 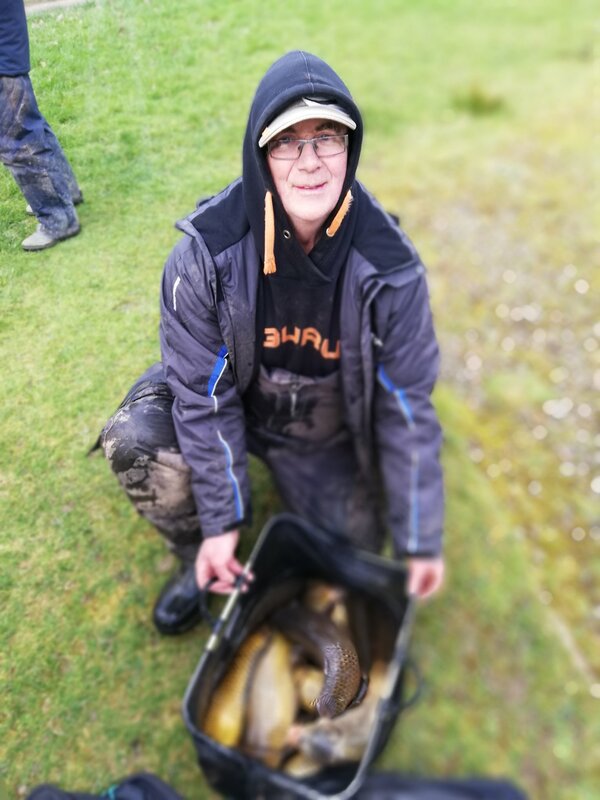 North Devon Match Group had its first Championship match of 2019 at Stafford Moor today combined with our Champion of Champions from 2018, attendance was again good with 22 anglers fishing. 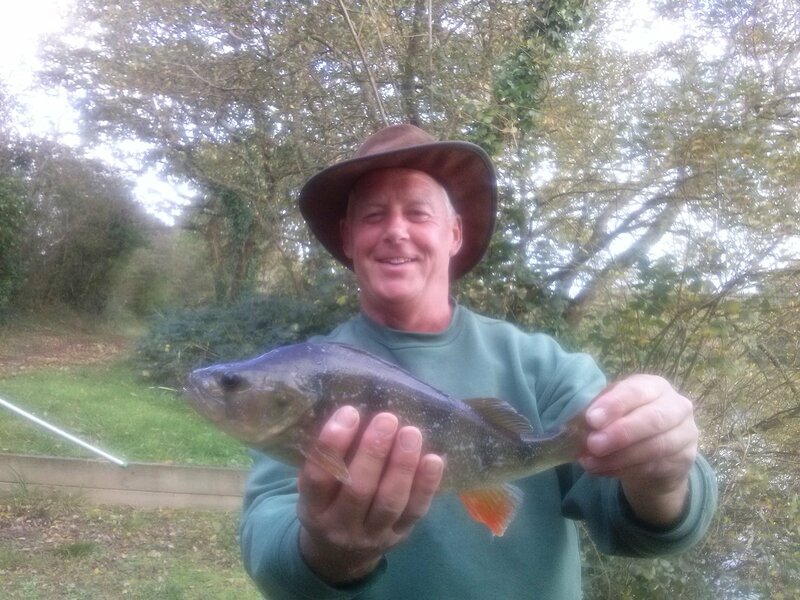 The match was evenly split between Oak and Woodpecker. 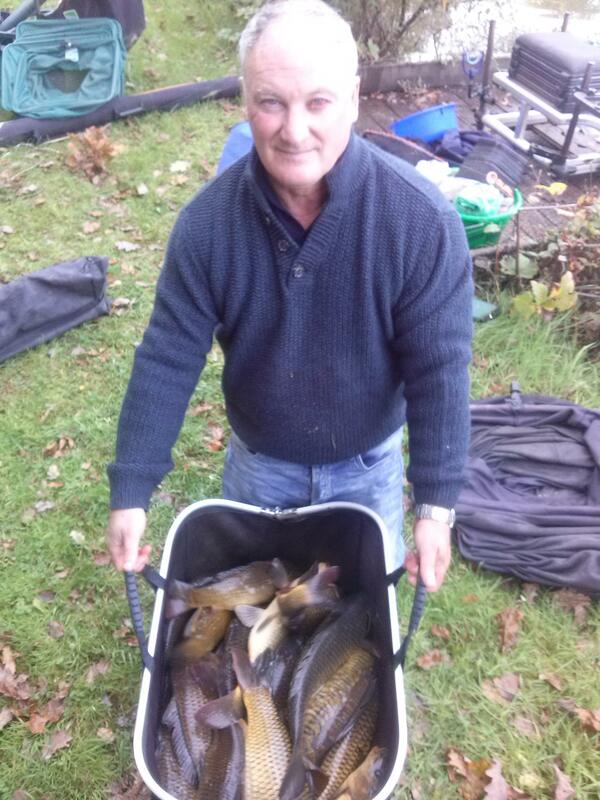 Winner on the day was Neilsen Jeffery with 76lb 11oz from peg 17 on woodpecker, all caught on corn from the margins. 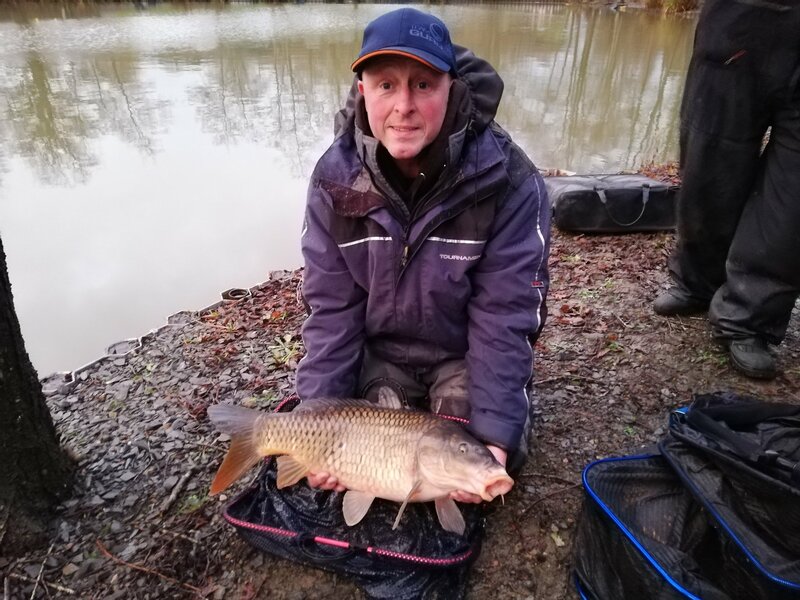 Second place went to Nathan Underwood with 72lb 4oz from peg 3 on woodpecker and third went to Andrew Gratton with 60lb 4oz again from woodpecker. 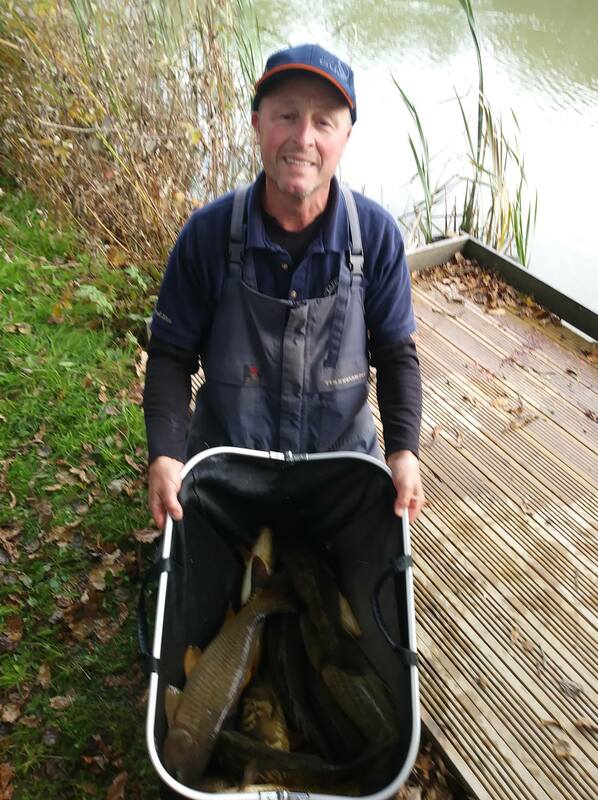 Top weight on Oak was Paul Morris with 54lb and paul came second in the pools due to our continental pay out. 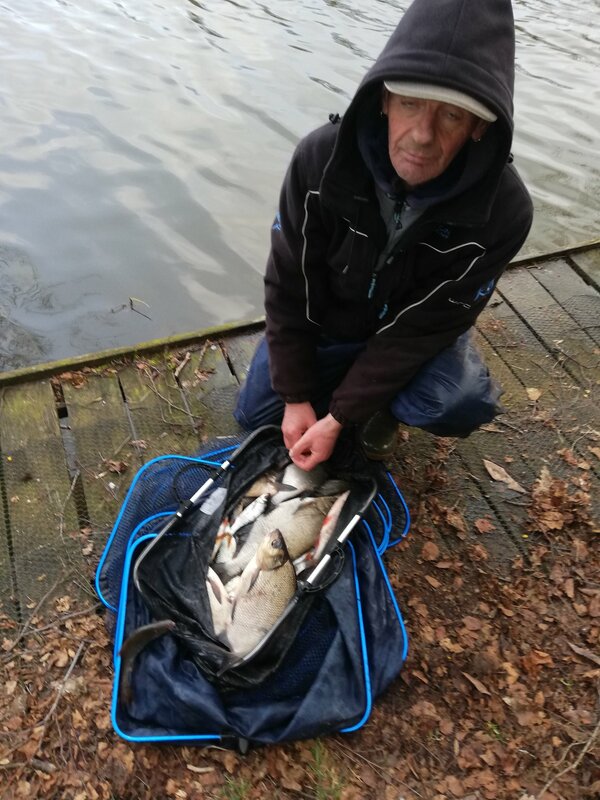 Oak was very close with Stuart Shelley Burridge, Craig Crash Lamey Kevin Shears’and Dodgy Hooks all within 5lb of Pauls weight. 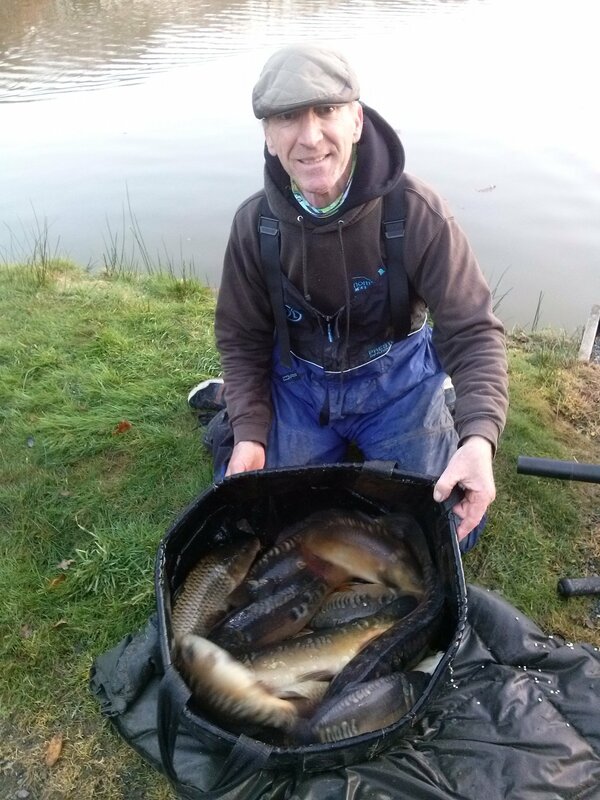 22 members fished our final comp of the year , 11 on each pond. 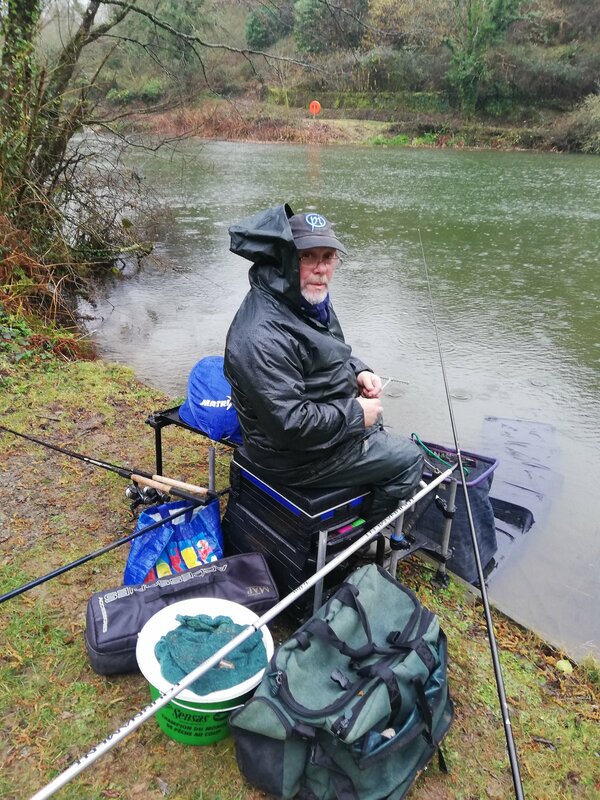 Conditions were still and cold to start but deteriorated into rain. 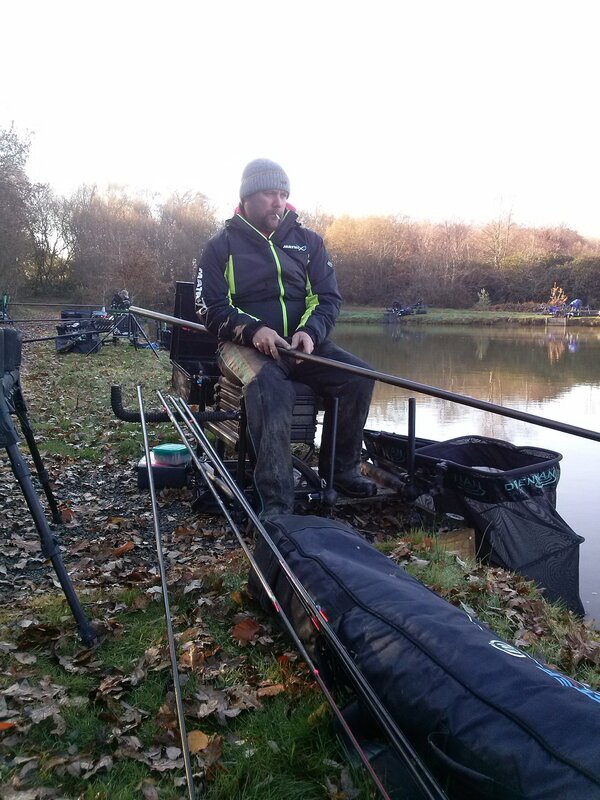 Paul Elworthy drew on peg 2 in the middle of the dam on the top pool his first fish was a near double on paste on the pole , he added 6 more and crucially 7lb of sivers to secure a victory , Paul Morris was on peg 15 on the bottom lake he also landed a large carp early he went on to net 9 fish, all on the pole, for 2nd place. 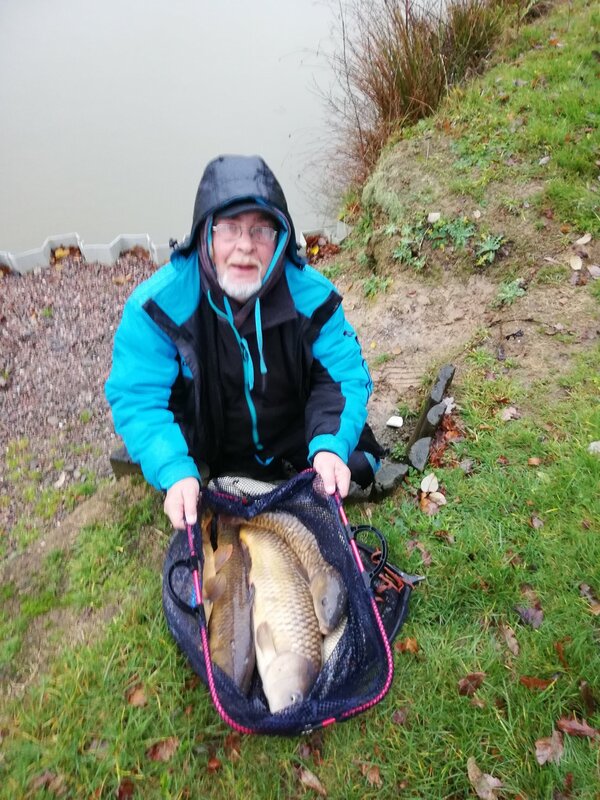 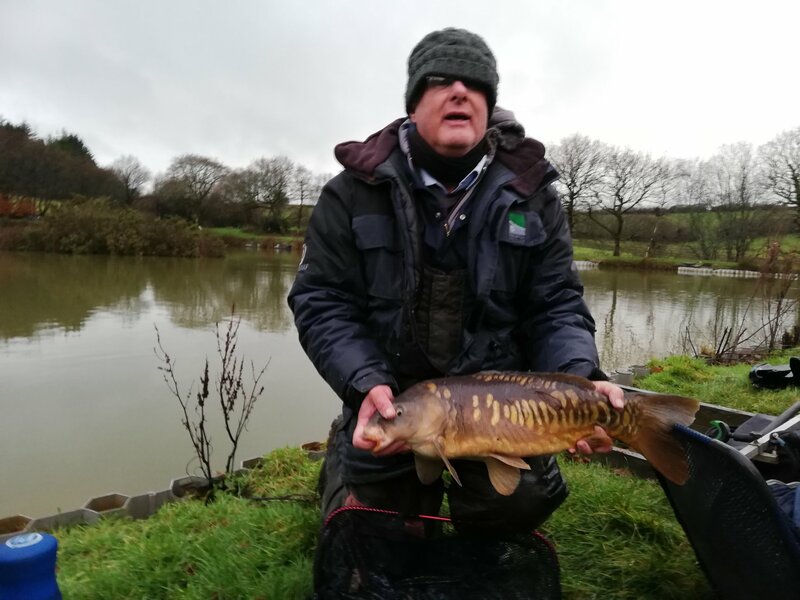 3rd went to Neilsen Jeffery with a pole and corn approach on peg 9 , The first competition for the new year kicks off on Jan 6th 2019 on Morchard Road. 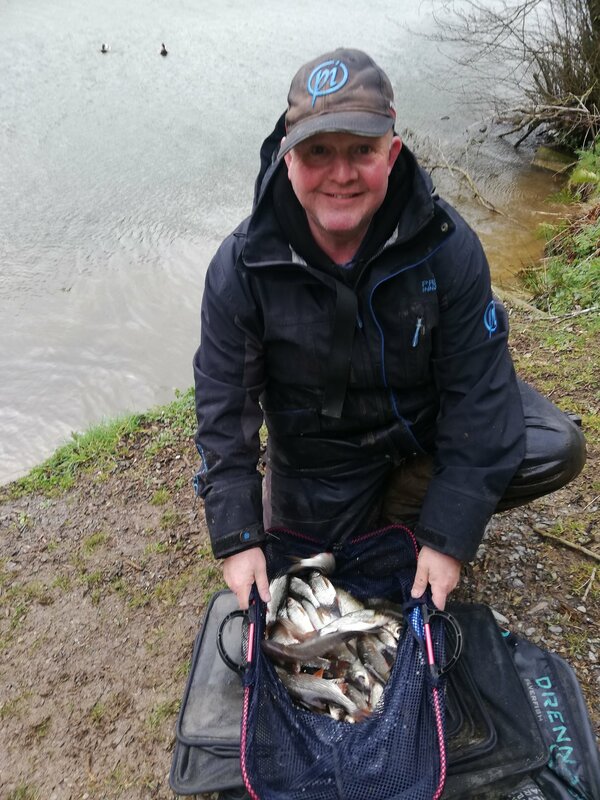 North Devon Match Group Championship No.11 @ Stafford Moor. 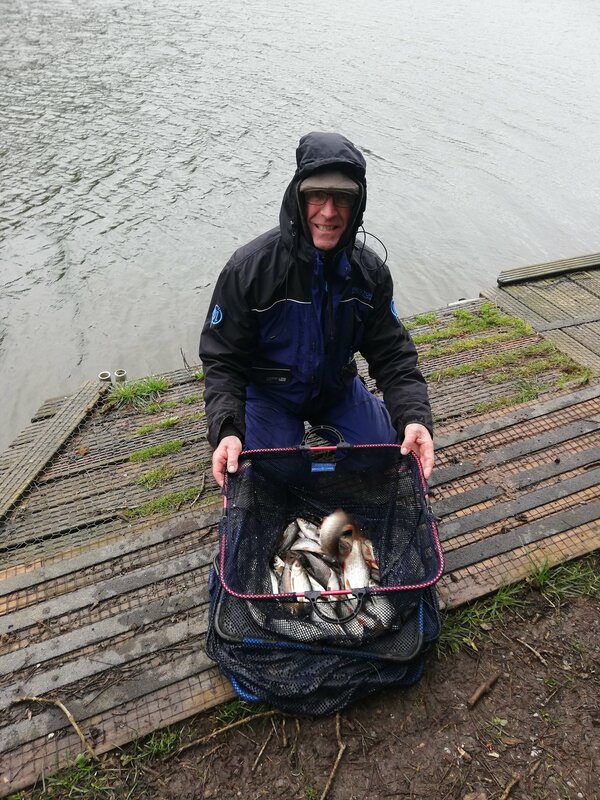 31 anglers fished. 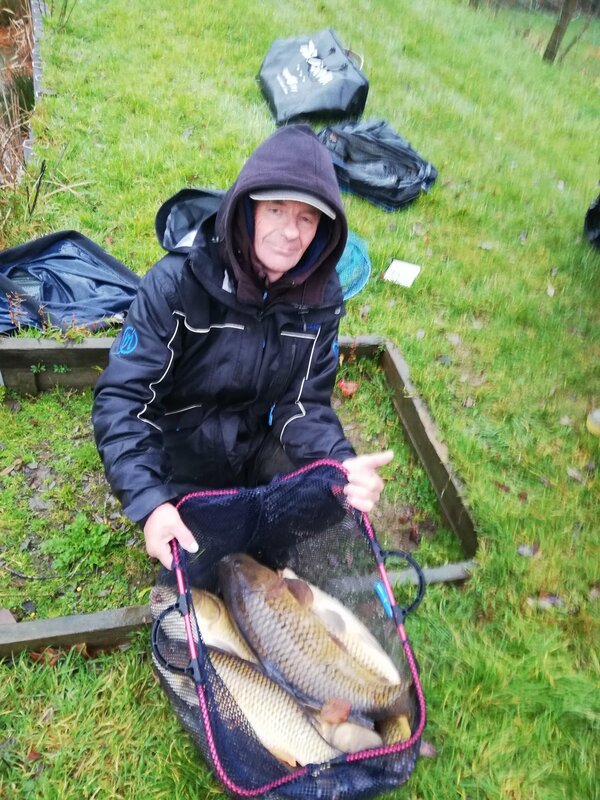 Cold bright frosty conditions did not deter the venues carp from feeding in, what turned out to be a closely fought contest.The match was one of the best attended that we have organised . 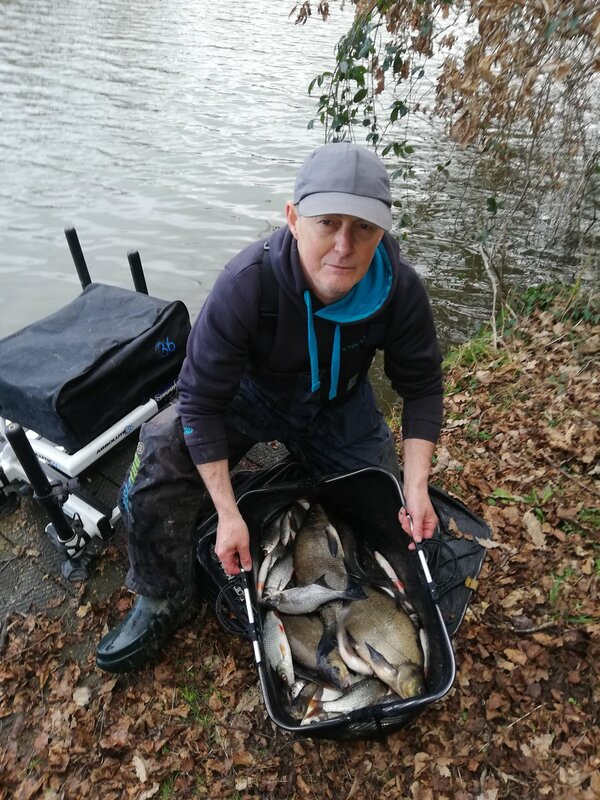 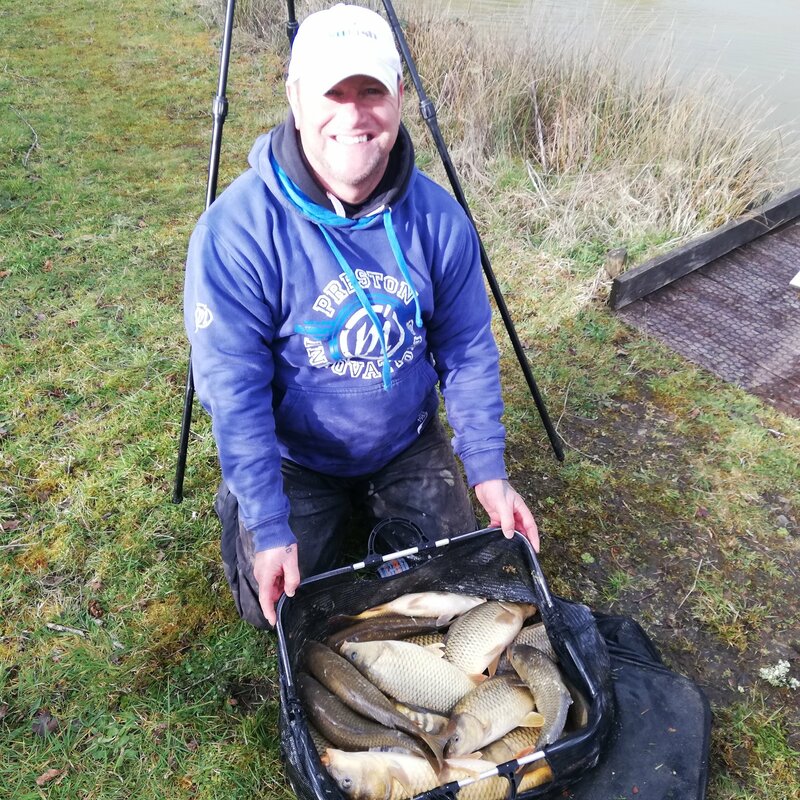 Kevin Shears won the event from unfancied peg 19 on Oak lake with an 18 fish net taken on the bomb and bread.Venue regular Dave landed 9 larger fish on the method feeder and maggot from peg 14 on Woodies for 2nd. 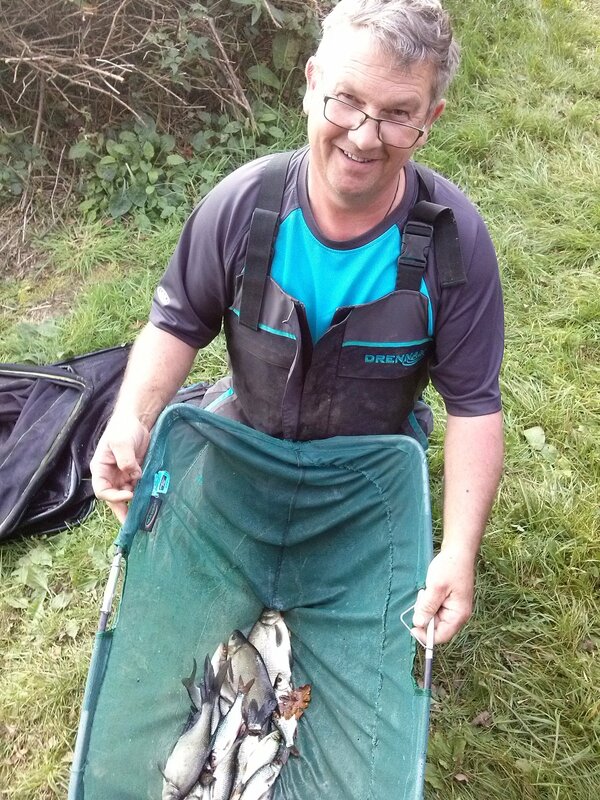 Paul Morris took 3rd spot from peg 16 on Oak with feeder and pole tactics . 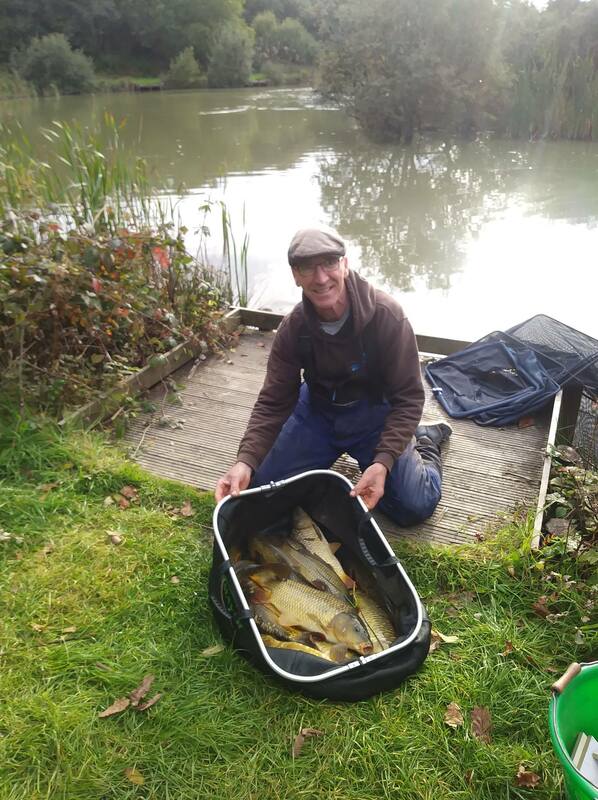 Martin Turner also on Oak, peg 11 ,managed to secure 4th place with a 16 fish pole and maggot caught net. 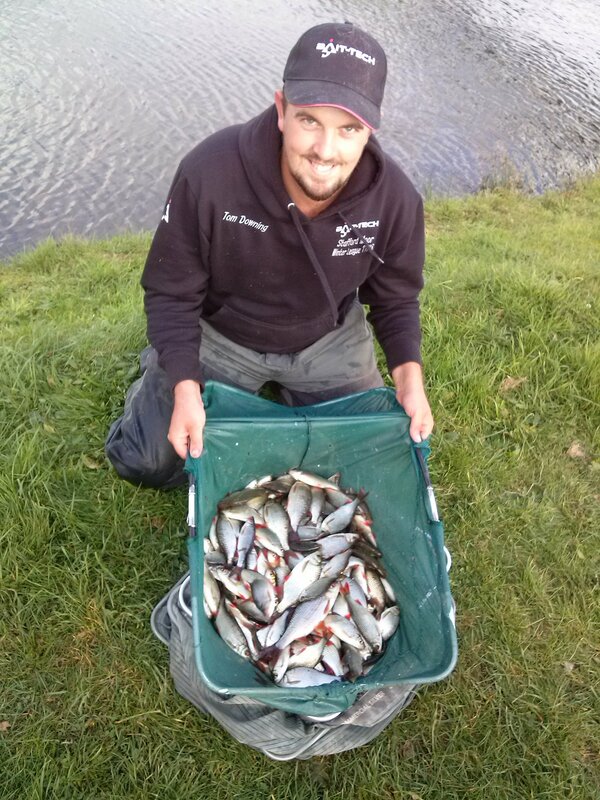 An impressive win for Tom Downing at Darracott not often there is such a large winning margin! 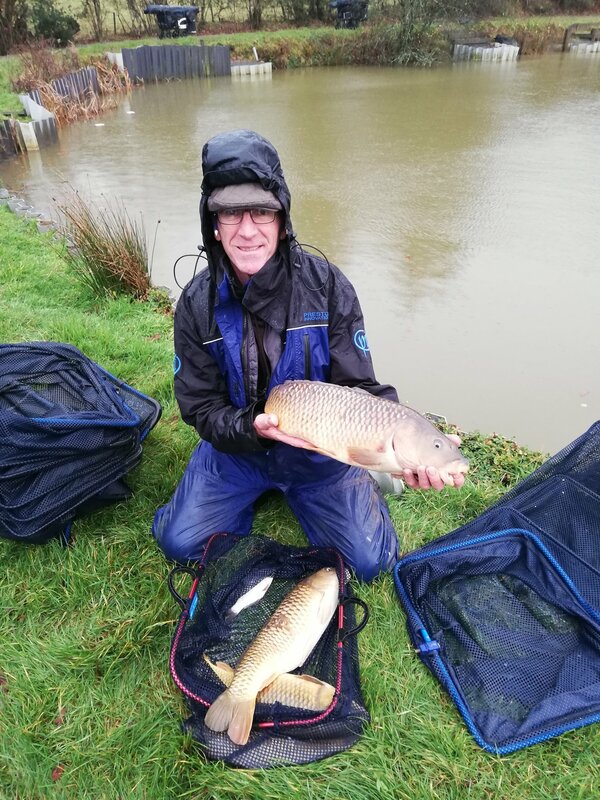 Well done Tom! 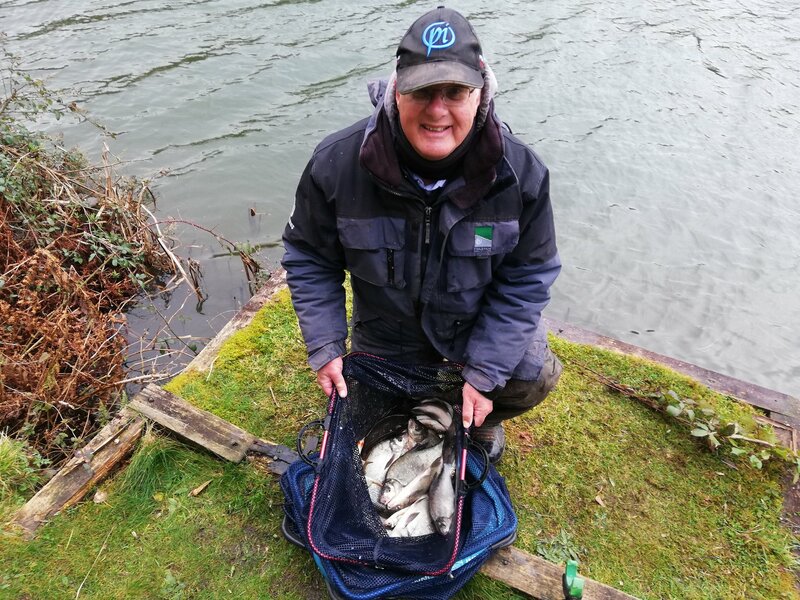 Tom Downing drew peg 11 in the middle of the dam wall and totally dominated the match with a lovely net of whip caught rudd on maggot. 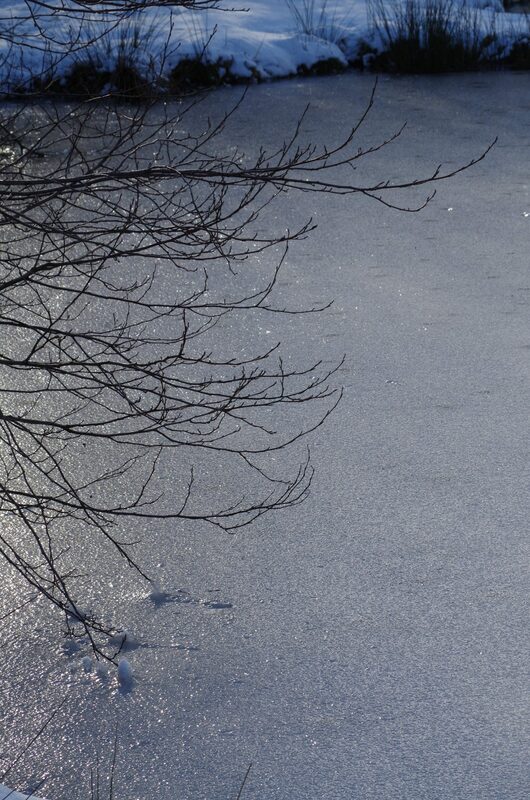 The rest of the field were left in the wake on a cold ,hard, clear venue. 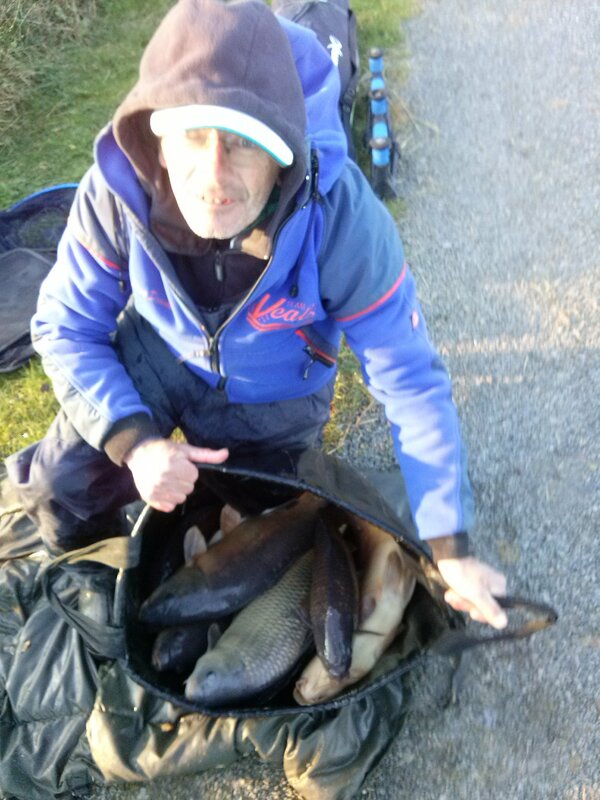 Martin Crouch managed to scratch around on the feeder with fluoro pinkies of peg 8 for 2nd , Martin Turner drew opposite on peg 17 and managed a few small roach on a sliding float for 3rd . 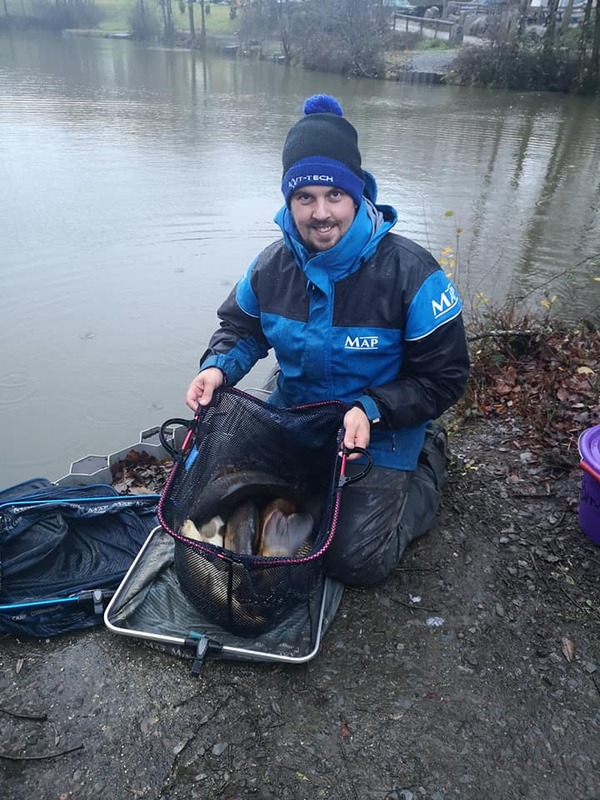 With very few fish caught on the pole line Michael Blake ,opted for the feeder and despite losing a large carp early , took enough for 4th spot.